首先, 韋瓦第著名的協奏曲中有兩首收錄在這張非常浪漫的(宛如昔日, Come Una Volta)專輯中, 由今日最具代表性的曼陀林音樂家朱利安.馬提諾在法國naïve廠牌錄製出版. 因為有朱利安.馬提諾在這專輯中世界首錄, 我們終於聽到原稿已經遺失的傳奇的, 精湛而富有詩意的, 經常被稱為”曼陀林樂器的帕格尼尼”的拉斐爾.卡拉契(Raffaele Calace, 1863-1934)第二號協奏曲. 事實上, 這樂器在許多方面和小提琴非常類似. A luminous, easily recognisable instru-ment, and a symbol of Italy's learned and popular musical tradition, the mandolin has been the subject of several major compositions throughout the history of music. 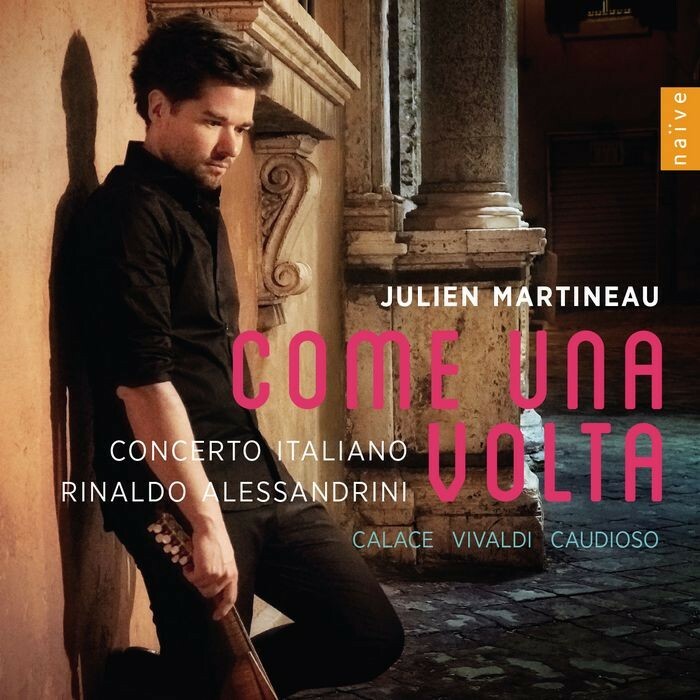 First of all, the famous concertos by Vi-valdi: two of them appear here on this intensely romantic album ('Come une volta') that Julien Martineau - one of today's greatest figureheads of the in-strument - has recorded for Naïve. We also finally get to hear, thanks to the world premiere recording by Julien Mar-tineau, the legendary, virtuosic and po-etic second concerto (of which the man-uscript was lost) by Raffaele Calace (1863-1934), who was often described as "the Paganini of the mandolin". The instrument is in fact so close, in many ways, to the violin. The Caudioso concerto completes an album which, steeped in authenticity and musical excellence, honours and lends prestige not only to the art of mandolin, but also to Italian and musical culture as a whole.